16 Jun 2018 Washington, D.C. These children are commonly known as “anchor babies,” as they serve as an anchor to their illegal alien parents in the U.S. There are approximately 4.5 million anchor babies across the U.S., Breitbart News reported. The amnesty deal, known officially as the “Border Security and Immigration Reform Act,” would give at least 1.8 million illegal aliens amnesty to permanently remain in the U.S., a population that is nearly three times the size of President Obama’s original Deferred Action for Childhood Arrivals (DACA) program. 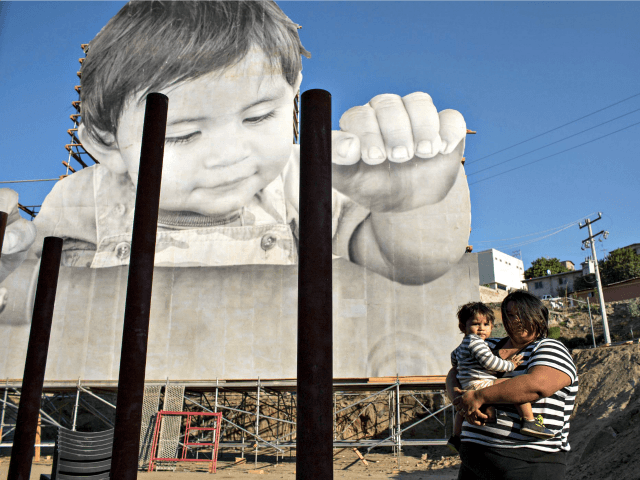 A study by Tom Wong of the University of California at San Diego discovered that more than 25 percent of DACA-enrolled illegal aliens in the program have anchor babies. That totals about 200,000 anchor babies who are the children of DACA-enrolled illegal aliens. This does not include the anchor babies of DACA-qualified illegal aliens. The Congressional Budget Office (CBO) has noted that an amnesty for DACA illegal aliens will spur increased welfare usage by anchor babies, as amnestied parents of those citizen children are more likely to enroll their kids in federal welfare programs if they, themselves, are legal residents rather than illegal aliens. Consequently, Ryan’s amnesty — which White House officials have reportedly pushed President Trump into supporting — would increase the number of anchor babies on welfare, leaving American citizens paying for those benefits. Should President Trump’s administration not enact major reforms to end illegal immigration — including constructing a border wall and ending birthright citizenship — the CBO estimates that at least another 600,000 anchor babies will be born to illegal alien parents in the next ten years. The Ryan amnesty deal appropriates $25 billion for a border wall along the U.S.-Mexico border, but there is no requirement for the wall to be built before the amnesty for illegal aliens begins. Additionally, the amnesty deal does not appreciably reduce legal immigration levels to compensate for the amnesty, leaving American citizens with the same mass legal immigration to the U.S. that has inundated the country for decades.